At Nor Cal Coatings, we are redefining the way families in San Francisco and throughout Northern California love their garages, basements, sunrooms, mechanical rooms, utility rooms, etc. Our high performance industrial grade multiple component polymer flooring system will turn your floor from ordinary to extraordinary. Below you will learn further about services for our residential customers. If you do not see what you are looking for just let us know, we will be happy to assist you. If you are like most homeowners, your garage is probably a bit of an eyesore. In fact, according to a national survey nearly 25% of all homeowners are embarrassed to leave their garage doors open. An attractive garage will increase a home's value. In addition, 82% of the people interviewed stated that the garage would be one of the factors in their decision to move when looking for a new home. 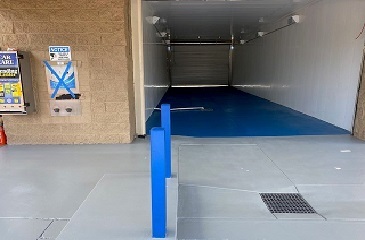 Our professionally finished garage floor coatings are high performance coatings that creates a professional, showroom quality finish. Our epoxy based coatings are also low odor and environmentally friendly and will create a great-looking, long-lasting, chemical resistant surface. 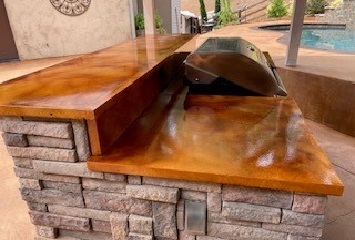 At Nor Cal Coatings, our installers have over twelve years experience in the industry and take great pride in our work and presentation. Over half of our business comes from client referrals and we continually strive to achieve your recommendation to friends and neighbors in San Francisco. 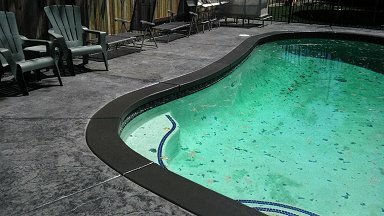 Sealing is meant to protect pavers from the elements (i.e. rain, sun etc...) and anything foreign that were to fall on them. It creates an invisible barrier on top of the pavers that repels water, oil and anything else you might accidentally drop on your driveway or pool deck, so long as you wash it clean as soon as you spot it. Decks are continually exposed to the harmful elements. Water, mold, mildew and ultra-violet rays can damage your deck over time. Protect your investment and enhance your home's appearance with a regular deck cleaning and sealing. Deck restoration is one of our specialties. We want to provide you with a safe, clean and healthy environment you and your family can enjoy. We are constantly testing new products and we won't promote them until we see how well they perform. The products we use are of the highest quality available on the market. We also offer organic sealers. We remove all patio furniture and protect all items near the surfaces that will be cleaned and sealed. We will apply a biodegradable stripper to all surfaces and power wash.
Let dry. Sand all handrails and benches. Apply stain/sealer hand brushed for maximum penetration and even coverage. 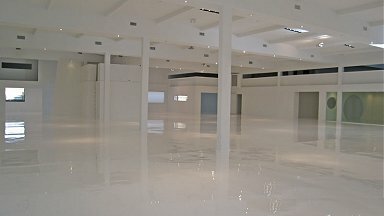 Nor Cal Coatings offers a wide range of epoxy flooring, high performance industrial and decorative floor coatings that provide outstanding durability and aesthetics for virtually every application. Epoxy flooring is designed for high traffic and are easily maintained. All finishes are environmentally friendly and release no harmful components in the installation process and after. Including in manufacturing plants and warehouses, epoxy flooring is an ideal coating solution for use over concrete floors in commercial buildings. Epoxy flooring also offers a high gloss, hard wearing, and durable surface. If you are in San Francisco and are looking for a company to provide quick and convenient epoxy floor coating installation, contact Nor Cal Coatings today to learn more about this durable flooring. Below you will find a summary of other advantages of epoxy flooring. Varied Film Thickness - Because our epoxy flooring can be applied with a variety of thicknesses, it can be used for a variety of applications making it extremely versatile. 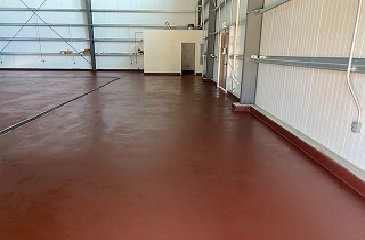 Chemically Resistant Surface - Once installed, this epoxy flooring is durable and chemically resistant making an ideal concrete floor coating for use in manufacturing and industrial plants. Self-leveling - Epoxy floor coatings are self-leveling, making it quick to install over new or old concrete floors. 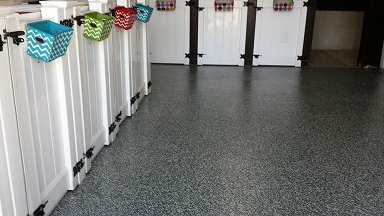 Hard Wearing, Durable Surface - Epoxy flooring creates a high performance surface over concrete floors, that are seamless, durable, and attractive providing a beautifully durable floor for years to come. Environmentally-Friendly - Epoxy flooring is an environmentally friendly flooring solution for commercial and industrial buildings that makes "Going GREEN" affordable and easy. Easy To Clean, Nonporous, Seamless Surface - Epoxy flooring turns permeable concrete floors into a high-gloss, durable surface that can easily be wiped free of dust or debris. In addition, because it is a nonporous, seam-free surface, it will not trap dirt, making this flooring choice ideal for food preparation and packaging plants as well as for buildings in the pharmaceutical industry. 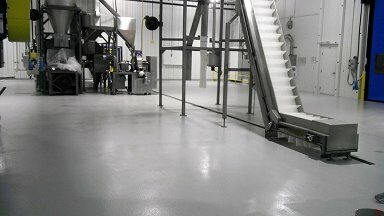 Improved Safety - Epoxy Flooring is impact resistant, slip resistant and fire resistant. It also improves safety in a work area by improving brightness by 300% and outlining safety zones. Productivity Increasing Abilities - Our epoxy flooring can increase productivity in a factory, warehouse, or industrial plant by reducing wear on transport vehicle, providing faster material movement, and preventing wear and damage to the floor. Cost Effective - Epoxy flooring is a cost effective solution because it is able to reduce lighting costs and floor maintenance and cleaning costs. At Nor Cal Coatings, we provide outstanding service for companies, contractors, builders and homeowners in San Francisco and across Northern California. Our quality products, combined with our superior application skills, give you the highest performing systems available in the Northern California epoxy flooring industry. We are dedicated to providing our clients with products and services that incorporate the highest degree of quality, reliability and performance. We are and will continue to be the leading Polyurethane Foam and Concrete Coatings Applicator in Northern California. If you have questions or we can assist you in anyway, please contact Nor Cal Coatings at 530-415-0762 or 916-772-5320. As epoxy flooring contractors it is our mission at Nor Cal Coatings to always provide our San Francisco client with a custom designed, long-term industrial epoxy floor that has been custom made to fit their needs. We strive to provide the very best installation experience each and every time. The techniques, practices, materials, and equipment we employ are continually changing to include the very latest and most effective innovations in the industry. 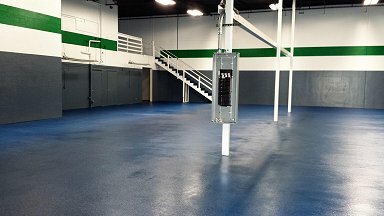 At Nor Cal Coatings, each one of our technicians are highly trained and skilled in the design and installation of an endless variety of industrial epoxy flooring. Our dedication to learning the specific needs of many industries has been a leading contributor to our success. In addition, we listen and understand the concern’s of our clients has left us with many long-term relationships in San Francisco and throughout Northern California. 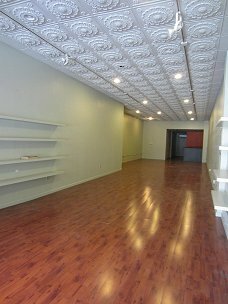 We realize the significance of a flooring investment for your corporation. In doing so, we also want you to understand the benefits of your new epoxy floor. Below we outlined just a few. If you have questions or would like to schedule a consultation, please contact Nor Cal Coatings at 530-415-0762 or 916-772-5320. Nor Cal Coatings has over a decade of experience in the surface preparation and installation of concrete and epoxy flooring. We are proud to remain a leader in San Francisco industrial flooring industry. Whatever your epoxy flooring needs are and no matter what size job you have, the flooring experts at Nor Cal Coatings are here and ready to help. We specialize in the demolition and removal of existing concrete flooring, resurfacing and surface preparation of existing or new concrete flooring and the complete installation of new floorings and epoxy coatings. If you have questions or we can assist you in anyway, please contact Nor Cal Coatings at 530-415-0762 or 916-772-5320. 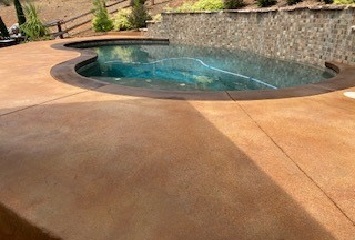 Thank you for your interest in Nor Cal Coatings. We look forward to serving you in the near future! Serving Benicia, Concord, Danville, Davis, El Dorado Hills, Fairfield, Folsom, Granite Bay, Lake Tahoe, Marin, Martinez, Monterey, Napa, Petaluma, Pinole, Pleasant Hill, Rancho Cordova, Roseville, Sacramento, San Francisco, San Ramon, Santa Rosa, Vacaville, Vallejo, Woodland and the surrounding area. © 2016-19 Nor Cal Coatings. All rights reserved. Website design by Brymels & Associates.